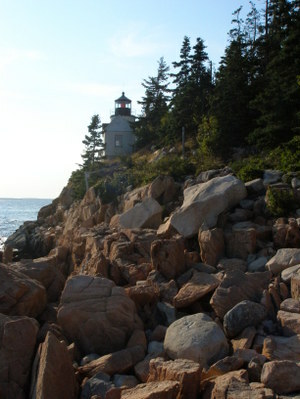 Bass Harbor Lighthouse, on the "quiet" (and less expensive - i.e. that's where we stayed) side of the island. 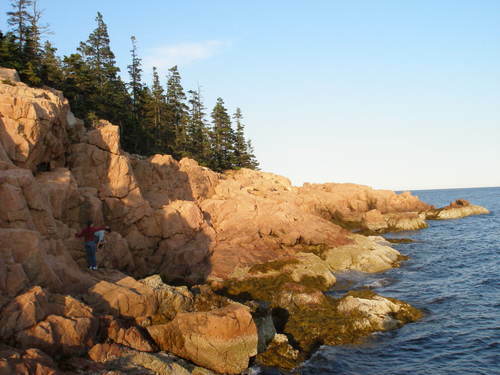 We spent a lot of time clambering around on the rocks here. We stayed in a small cottage in Southwest Harbor. It was in walking distance of the town and the water (and a great breakfast place one cloudy morning). The first morning we were there, dear husband got up earlier than the rest of us and walked down to the bakery to get muffins, cinnamon rolls, and bagels for breakfast. Another morning, dear husband and I got up early to go take a walk through the town and down to the harbor. 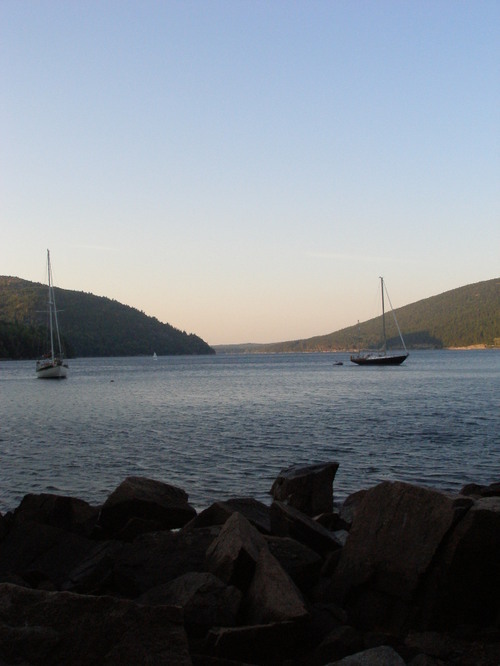 It was much more peaceful than staying last year near Bar Harbor. The view going the other way from the lighthouse. After a bit of clambering, I sat and looked at the view while everyone else headed down the rocks. Much later, when they returned, daughter asked if I was okay. "A long time looking at a beautiful view and peacefully thinking my own thoughts. I'm fine!" was my reply. 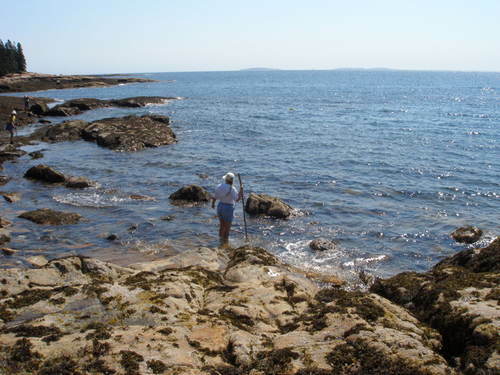 Wading and sea creature finding (that will be another post) at the end of the Wonderland trail. 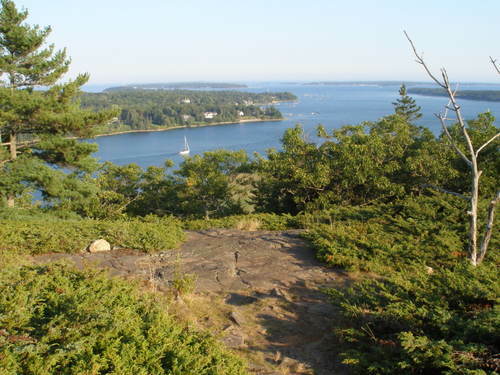 One of the smaller mountains in the park, Flying Mountain, had a beautiful view of the mouth of Soames Sound. It was called "Soames Fjord" last year, but, as the park ranger told us, it was downgraded to a "fjord-like structure" - not being "fjordish" enough. "Kind of like Pluto." 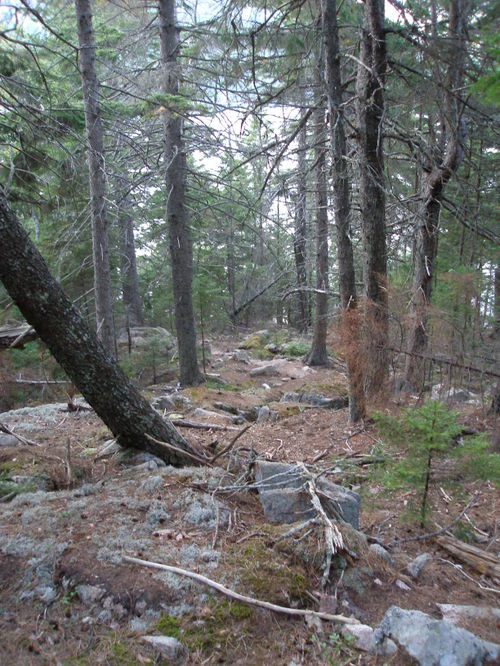 The trail on Flying Mountain. I love fir forests! Another view up the sound from the bottom of the mountain. 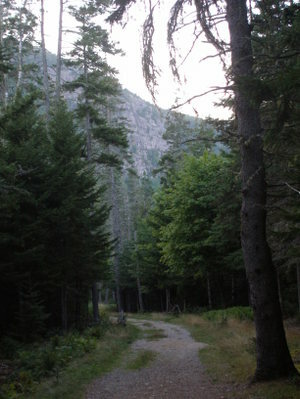 Another view from the bottom of the Flying Mountain trail. Beautiful pictures, as usual! Thanks for sharing. Gorgeous scenic views! 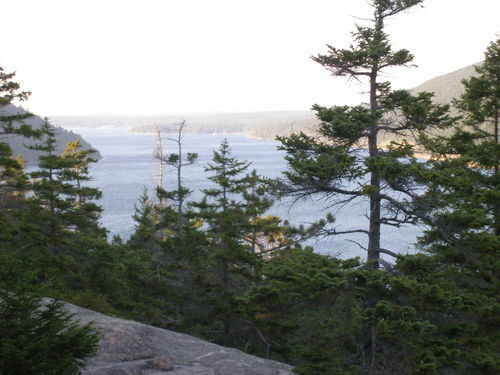 If you love nature you'll fall in love with Mount Desert Island. There's pretty much activities for all ages. I usually bring my mountain bike along with me and bike along the various trails.